This service is powered by TrustVas and has the Alpha Tag 2018. Please see below the FAQs for more information. How can I create a 2018 Wallet? 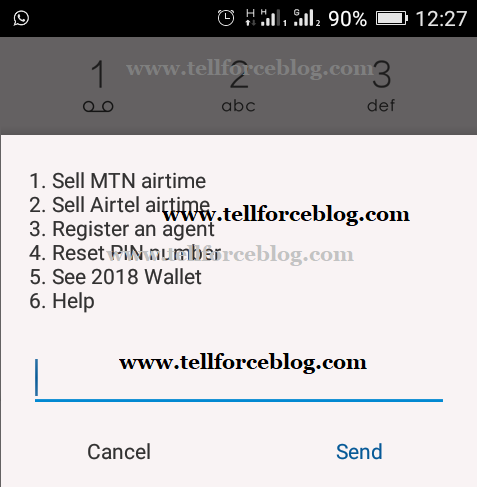 You can create a 2018 Wallet by dialling *2018#. Then reply with the state you currently live in and then reply with a 4-digit PIN number. You will get a message telling you that you have successfully created your 2018 Wallet. Why do I Need 2018 Wallet For? Why do you need to know the state where I live? We need to know the state you live in so that we can know how many 2018 Wallet’s existing a particular state. This will allow us to plan effective promotions, make more” initiatives or bonuses on a state level. Why do I need to set a 4-digit PIN or my 2018 Wallet? A 4-digit PIN number is a security measure that you must use to complete your 2018 Wallet transactions to keep your money safe. We designed the 2018 Wallet to ensure that only you know the PIN number for your 2018 Wallet. Note: DO NOT GIVE YOUR PIN NUMBER TO ANYONE. If I don’t give my 4-digit PIN number to anyone, do you have access to my 4-digit PIN number? No, we do not know your 4-digit PIN number. It is encrypted so we cannot see it, your 2018 Wallet is safe as long as you do not give your PIN number to ANYONE. Can I create a 2018 Wallet for someone else? Yes, you can create a 2018 Wallet for another person. Simply dial *2018#, then choose to “Register an agent then reply with the phone number of the person that you want to create a 2018 Wallet for and then reply with the state that the person currently lives in. He will get an SMS message asking him to set a 4-digit PIN number for his 2018 Wallet or you can ask him yourself to set a 4-digit PIN number to activate the 2018 Wallet. Do I get a bonus for creating a 2018 Wallet for someone else? another person. You get a bonus when the person makes a sale transaction. Can I create a 2018 Wallet with all my phone numbers? 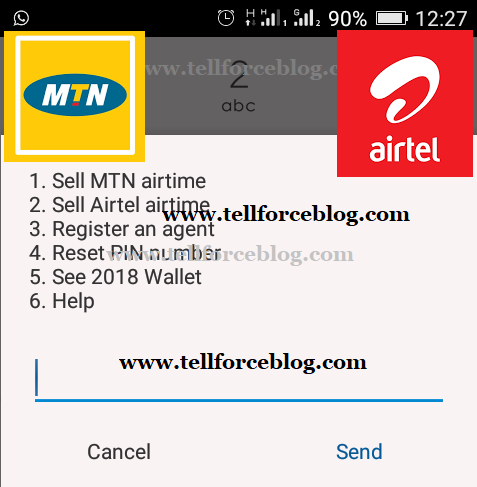 Can I create a 2018 wallet on a mobile network if it not included in your telecom partners? If I create a 2018 Wallet for someone else, will they have access to my 2018 Wallet? No, another person will not have access to your 2018 Wallet even if he was the one that created your 2018 Wallet. Why can’t I set the 4-digit PIN for the 2018 Wallet I created for someone else? A 4-digit PIN number is a security measure that you must use to complete your 2018 Wallet transactions to keep your money safe. We designed the 2018 Wallet to ensure that only the owner of the phone knows the PIN number for his 2018 Wallet. WARNING: DO NOT GIVE YOUR PIN NUMBER TO ANYONE. If I create a 2018 Wallet for someone else, do I have to pay money into their 2018 Wallet? No, you do not have to pay money into anyone’s 2018 Wallet even if you were the one that created the person’s 2018 Wallet. No, you do not get a bonus for creating a 2018 Wallet for another person. My 4-digit PIN Number does not work. Why? If you enter the correct PIN number using your phone prompt, it may add a space after you PIN number. Please enter your PIN number yourself without using your phone prompt. If the problem persists, you can reset your 4-digit PIN by dialling *2018# and select Reset PIN number. Why do I have to reset my 4-digit PIN? You may have to reset your PIN number if you have forgotten it or if someone else knows your PIN number without your permission. How do I reset my 4-digit PIN? To reset your 4-digit PIN number, simply dial *2018# and select Reset PIN number. Then reply with the amount you last put into your 2018 Wallet. If you answer this question correctly, reply with the amount of your last airtime sale. If you answer this question correctly, you will be asked to enter your new PIN number. What is the minimum amount of airtime I can sell in one sale transaction? The minimum amount of airtime you can sell in one transaction is N50.00. What is the maximum amount of airtime I can sell in one sale transaction? There is no maximum amount of airtime you can sell in one transaction. Can I also use my commission balance and bonus balance to sell airtime from my 2018 Wallet? 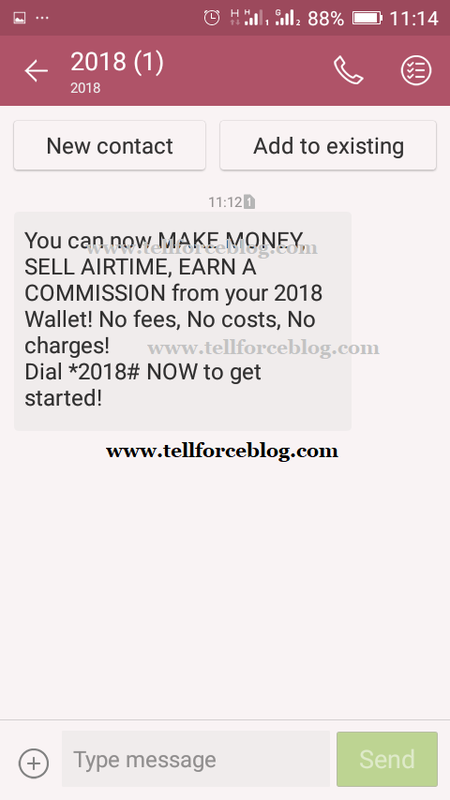 Yes, you can sell your 2018 Wallet sales commission and bonuses as airtime. You can sell any amount up to your total wallet balance which includes the money you put in your wallet + your commission earned from sales + any bonuses we have paid into your bonus. Can I sell airtime without money in my 2018 Wallet? No, you cannot sell airtime without money in your 2018 Wallet. Can I use my 2018 wallet for anything other than airtime sales? My 2018 Wallet timed out during a sale transaction. 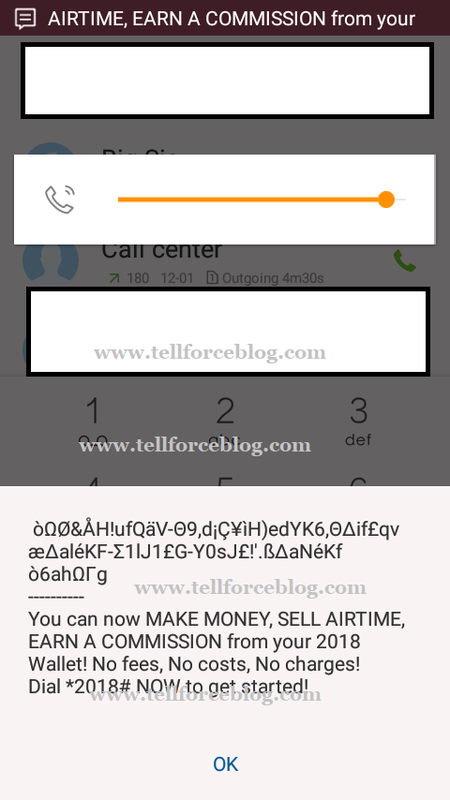 What is the quickest way to sell airtime? Dial *2015*AMOUNT# to top up your own phone number. Your commission on sales to other phone numbers is 2% while your commission on sales to your phone number is 1.5%. How can I earn a bonus? You can earn a bonus when we run bonus promo’s or you can earn a bonus when any of your registered agents makes a sale by creating a 2018 Wallet for someone else and you earn a bonus on all their sales. How do I put money into my 2018 Wallet? If you have a GT Bank account, a *737# PIN number, and of course, money in your GTBank account, you can deposit money in your 2018 Wallet by dialling *737*50*AMOUNT*2018# enter the persons phone number and on confirmation the money will be in the person’s wallet immediately with no charges. If you do not have a GTBank account, ask someone who does to put money in your 2018 Wallet. Can someone who does not have a 2018 Wallet put money into my 2018 Wallet? Yes, any person that does not have a 2018 Wallet con put money in your 2018 Wallet if he has a GTBank account, a *737# PIN number, and of course, money in his GTBank account. Check “my 2018 Wallet partners” section on this FAQ page for more information. Do I have to put money into my 2018 Wallet? Yes, you have to put money in your 2018 Wallet to be able to sell airtime but you do not have to put money in your wallet to access the *2018# menu. How am I sure my money is safe with *2018#? Con I trust you? Your money is kept in the bank you use to put money in your wallet. We will not use your money for anything unless you verify the sale transaction using your 4-digit PIN number. Your money is I00% safe with *2018#. Can I put money into someone else’s 2018 Wallet? Yes, you can put money into anyone’s 2018 Wallet. All you need is a GTBank account, a *737# PIN number, and of course money in your GT Bank account. Simply dial *737*50*AMOUNT*2018#, enter the persons phone number and on confirmation, the money will be in the person’s wallet immediately with no charges. Can I put a higher amount than I have in my wallet into someone else’s 2018 Wallet? Yes, you can put more money into any person’s 2018 Wallet than you have in your 2018 Wallet. Note: Remember that any 2018 Wallet can be funded by any GTBank account. If I created a 2018 Wallet for someone else, can the person put money into their 2018 Wallet by him/herself? Yes, the person can put money in his 2018 Wallet even if he did not create his wallet by himself. All he needs is a GTBank account, a 737# PIN number, and of course, money in his GTBank account. Do I need a GT Bank account to create a 2018 Wallet? No, you do not need a GTBank account to create a 2018 Wallet. However, you will need anyone with a GTBank account to put money in your 2018 Wallet. Anyone with a GTBank account can put money in your 2018 Wallet and there are no Charges. How do I put money in my 2018 Wallet? You can put money in your 2018 Wallet by transferring money from a GTBank account to your 2018 Wallet. Anyone with a GTbank can put money in your 2018 Wallet using GTBank *737# service. I have never used GTBank 737 but I have o GTBank cord. How do I set my 737 PIN number? You can set your GT Bonk *737# PIN number by dialling *737*5# , then reply with “active debit card” then reply with the last 6 digits of your GT Bonk debit card and then reply with any 4-digit number. This 4-digit number is your *737# PIN number. I don’t have a GTBank card but I have a GTBank account. How do I set my 737 PIN number? You can set your GTBank *737# PIN number by dialling *737*5#, then reply with “no debit cord” then reply with your 10-digit account number of your GT Bonk account and then reply with any 4-digit number. This 4-digit number is your *737# PIN number. Will you have other banking partners in the future? Yes, we will have other banking partners in the future. Will you have other telecom partners in the future? Yes. We will have other mobile phone operators as partners in the future. My 2018 Wallet times out in the middle of a transaction. Why? Your transactions time out because the length of a USSD connection is 100 seconds after which the session is ended. One way to avoid this happening is to use our short string dials for your transactions and ensure that you avoid distractions whilst making a transaction. What happens to my transaction if my 2018 Wallet times out? Nothing happens to your transaction if the session times out. 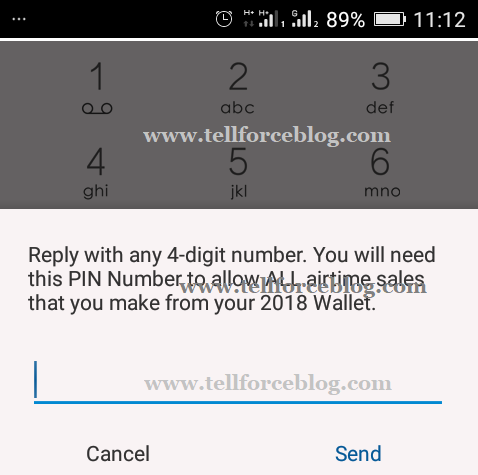 If you have not entered your 4-digit PIN number to confirm your transaction, then the airtime sale is not completed and money is not deducted from your 2018 Wallet. What if I have approved a transaction and my 2018 Wallet times out? If you have entered your 4-digit PIN number to approve a transaction and the session times out, dial *2018# to see 2018 Wallet, enter your 4-digit PIN number and reply with Transaction History” .If you see the transaction on your last five sale transactions list then your sale was successful. How can I check if a sale transaction is successful if I have not received my transaction successful notification and my 2018 Wallet times out? You can check if on airtime is successful by dialling *2018# to see your 2018 Wallet. Enter your 4-digif PIN number and reply with Transaction History”. In that menu, you will see a summary of your last 5 successful sales, and your last 5 successful payments into your 2018 Wallet. Reporting Issues encountered in my 2018 WalletHow can I contact Customer if I have issues with my 2018 Wallet? If you have any issues with your 2018 Wallet, please call their multi-lngual customer care agents on 0816 718 2196, 0816,718 7456, 0902 082 I162, and 0808 597 2701. From 8am – 5pm, Monday – Friday. Does your Customer Care team speak multiple languages? Yes, the Customer Core team is a helpdesk and speak English, Pidgin, Yoruba, lgbo and Hausa. What if I sell airtime to the wrong phone number? You are asked enter your 4-digit PIN number to confirm a sale. Please ensure the phone number you want to sell airtime to is correct before you enter your 4-digit PIN number as we cannot recover the airtime from the phone number once the sale transaction is completed. What if I sell airtime twice because I did not receive a successful sale transaction notification when I sold it the first time? You can check if an airtime is successful by dialling *2018# to see your 2018 Wallet. Enter your 4-digit PIN number and reply with Transaction History”. In that menu, you will see a summary of your last 5 successful sales, and your last 5 successful payments into your 2018 Wallet. 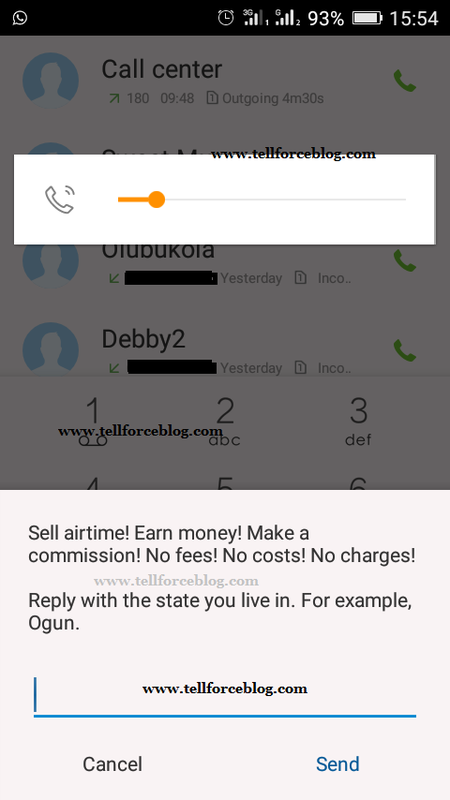 Do not sell airtime again unless you are sure the transaction has not been successful. No Victor, you will be charged base on your normal tariff. is it like vtu i credit their acc and take cash? The commission is too poor. so if I sell 100k worth of airtime I will be getting only 2k as commission. It is a bad investment/business. if they really want to help they should upgrade the commission percentage.